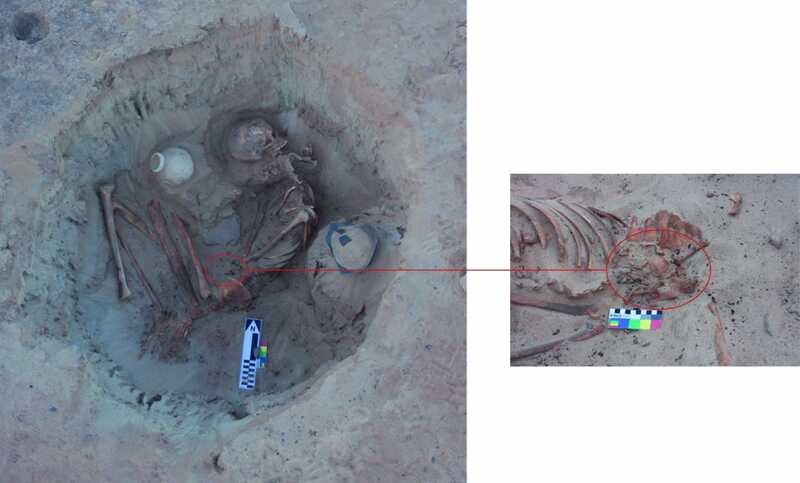 An Italian-American archaeological mission working in Aswan's Kom Ombo has uncovered the grave of a woman and her fetus dating back 3,700 years, general secretary of the Supreme Council of Antiquities Mostafa Waziri announced. 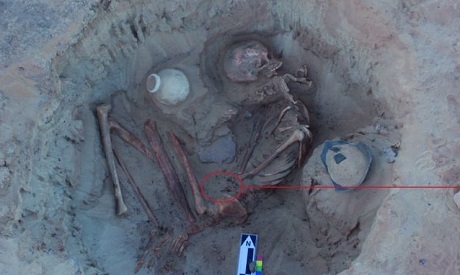 Waziri explained that the grave is almost intact and was found in a small cemetery previously used by nomadic people who moved to Egypt from the desert hinterland of its southern neighbour, Nubia, during the Second Intermediate Period (c 1750-1550 BCE). He added that studies have shown that at the time of her death the woman was about 25 years old and was very close to giving birth. He added that the baby’s skeleton was found in the mother's pelvic area and had already settled in a "head down" position, suggesting that both mother and child may have died during childbirth. Preliminary analysis of the mother’s remains revealed a misalignment in the woman’s pelvis, most likely the result of a fracture that had healed incorrectly. It is possible that this abnormality had caused problems during labour leading to death. The mother’s skeleton was resting in a contracted position and was wrapped in a leather shroud. 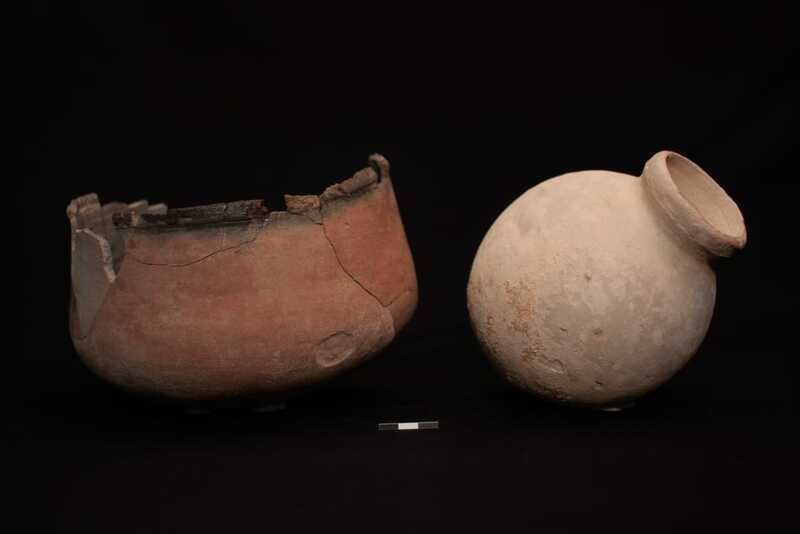 Two pottery vessels accompanied her on her journey to the afterlife: one was a small Egyptian jar, beautifully made and worn down by years of use; and the other was a fine bowl with a red polished surface and black interior, produced by these nomadic communities following a Nubian style. 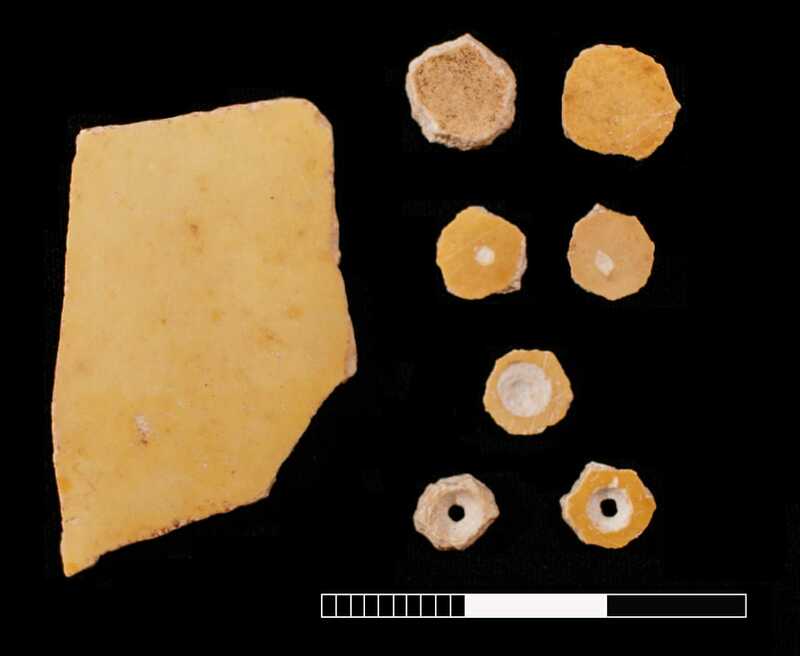 Waziri mentioned that the mission also found an unexpected offering in the grave, consisting of many unfinished ostrich eggshell beads and blank fragments. The reason behind this offering is unclear; it is possible that in life the woman was a well-regarded bead maker and her family placed an amount of un-worked material in the grave to honour her memory.